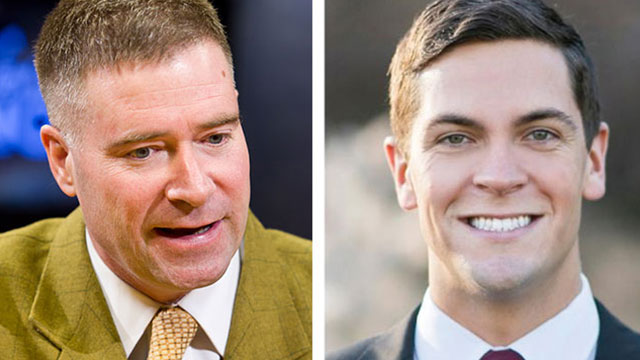 Watch the debate between 19th Congressional District candidates Rep. Chris Gibson and Sean Eldridge above. The two will be vying for the vast 19th Congressional seat which includes parts of the Capital District, Southern Tier and Hudson Valley. Rep. Gibson was first elected in 2010 and will be seeking his third term, while Eldridge is a newcomer to the political scene. This debate will be one of four the candidates will participate in and the only televised one available free over the airways. It is expected to be one of the most closely watched battles across the country. In fact, all of the available tickets we had for this debate were gone in less than an hour. Watch the 2012 debate between Congressman Gibson and Democratic challenger Julian Schreibman.